Darsan's landscape design process is especially comprehensive. Inspiration comes from the unique attributes of the home’s architecture as well as existing structures, conditions, views, and nature. 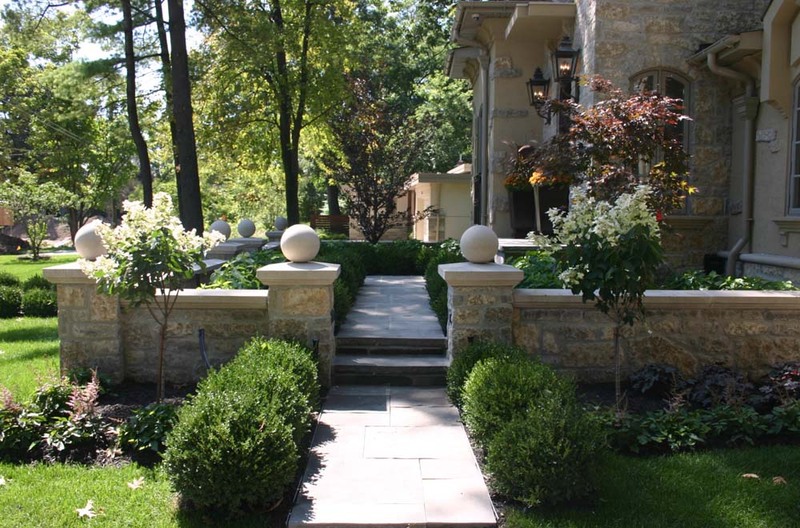 Every landscape design is unique and customized to suit your individual needs. Inspired by the client’s vision to create a serene backyard getaway, we transformed this unembellished property into the ideal backyard retreat, complete with various lounge areas and 18’ x 38’ lagoon-shaped gunite swimming pool. The large spillover spa and swimming pool both have a white, marble-like finish and give the backyard a tropical feel. In keeping with the property’s natural surroundings, which comprise of heavily treed conservation areas, we used various building materials that would work in union with the landscape and prevent any component from looking out of place. To compensate for the elevation change from the front to back of the property, large slabs of natural stone were used to create meandering steps. Rockery was used to build retaining walls on both sides of the rear property. Not only did this provide various planting beds, it also allowed the homeowner to extend the indoors out by installing a patio that was flush with the walkout basement of the home. The spacious patio surrounding the pool was constructed of square-cut Owen Sound flagstone and includes a large dining area, ample room for social gatherings, in addition to various tranquil spaces for reading, lounging or sunbathing. Adding to the rustic appeal of the landscape is a circular accent patio made of red clay brick, which was inset into the main patio, creating yet another peaceful sitting area.